With regards to kidney health, exposures to certain heavy metals, such as lead, mercury, and cadmium can affect your kidney function over time. Painters, those working on old houses, machinists, and the like should be aware of the environment in which they work for exposures that affect their kidney health. 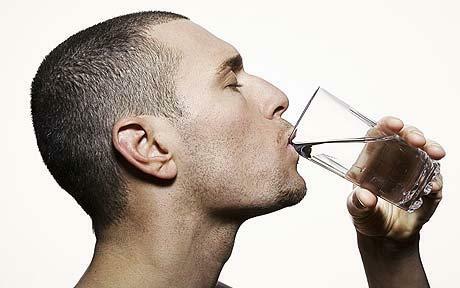 Once you have established that your drinking water is safe, it is important to stay hydrated. Our bodies are 60 percent water, and keeping ourselves hydrated is important not only in keeping our systems healthy, but also in keeping our systems flushed. How much you can drink depends on your overall situation. For someone with CKD, this is a loaded question. Some people in advanced stages of CKD may be restricted by how much they take in. Examples of such restrictions commonly prescribed by doctors include one liter (one liter is about one quart) or one and a half liters total for the whole day. If you also have a heart problem such as congestive heart failure (CHF) or significant problems with edema, your doctor may also place a restriction on how much you can drink on a daily basis. Please understand that fluid restriction means the total amount of fluid; this not only includes water, but tea, juice, and other beverages, as well. Additionally, you may be asked to weigh yourself daily. If there are significant weight changes on a daily basis - either too much weight or too little weight - the amount of fluid you take in each day can change. Weight that changes daily is reflective of water weight; weight that changes over longer periods of time is more reflective of changes in food intake. If your doctor has not placed a restriction on the amount of liquid you can take in, an acceptable approach is to drink when you are thirsty. You can also take in water through other sources, including food. Our water, our environment, and even some of our over-the-counter medications can have toxic effects on our kidneys and overall health. Not only as consumers, but as people with CKD, we need to know what we are being exposed to, and what we can do to avoid it. Keep vigilant, and look closely at what you are putting in your mouth, because your kidneys could be affected. Eating right is something that all of us can and should do. This is especially true in kidney disease. Food is power. Consuming a well-balanced diet can help our bodies maintain good health and slow down - even improve - the progression of kidney disease. Before going any further, however, it is important to clarify the term "diet." A diet is not an abstinence regimen to lose weight; rather, it is a balanced way of eating and living. If you are overweight, weight loss is important. The key is losing it while still providing your body with the nutrition it needs. Many of us eat to excess and yet we are sufficiently lacking the nutrients our bodies require. You can eat less and still feel more satisfied by eating healthy. If you are tempted to eat sweets and empty-calorie junk foods when they are in your pantry, simply don't put those items in your grocery shopping cart. Your wallet, your waistline, and your health will all thank you. A "kidney diet" can vary from person to person according to other medical conditions and the results of blood work. Deciding what to eat often becomes a juggling act, especially if diabetes - the leading cause of CKD - and hypertension - the second leading cause of CKD - are present. Depending on your stage of CKD, further food restrictions may be required. We will be discussing general food guidelines in the setting of CKD, emphasizing natural rather than processed foods. You will gain an understanding of how nutritious food translates to decreased inflammation and body balance maintenance. You will also begin to understand how to make better food choices while still adhering to the many "dietary restrictions" you face. Always consult with your doctor and dietitian before attempting any dietary changes. This is important, especially if your kidney disease has progressed to stages four and five. 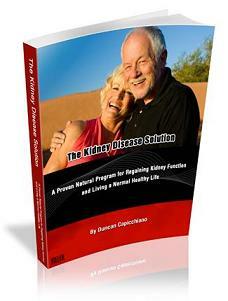 To find out more, you can check out Best Diet For Kidney Disease.